This month, the Cross Canada Blog Hop asks "Do you like traditional or non-traditional Christmas colours, or do you like a combination?" So join us on this hop to see what we all prefer. If you got here from Donna's blog, you are in the right spot, but if you get lost along the way, just head back to Michelle's blog where you will find the complete list of hoppers. As you go hopping through our blogs, please leave comments. We love to see what you think of our artwork, whether it is a comment about the project itself or you would like more information about a product or technique we shared. I guess I am a traditionalist. I love the red, green, gold and silver of traditional Christmas decorations and it shows in my cards and scrapbook layouts. 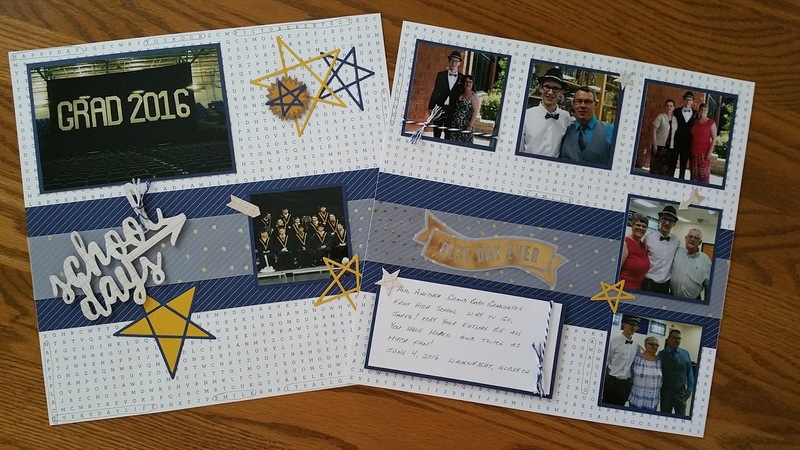 I am sharing some of my Christmas cards with you on this hop and I welcome your comments. These are the cards I made for my Christmas card workshop and I liked them so much I decided to share them here. 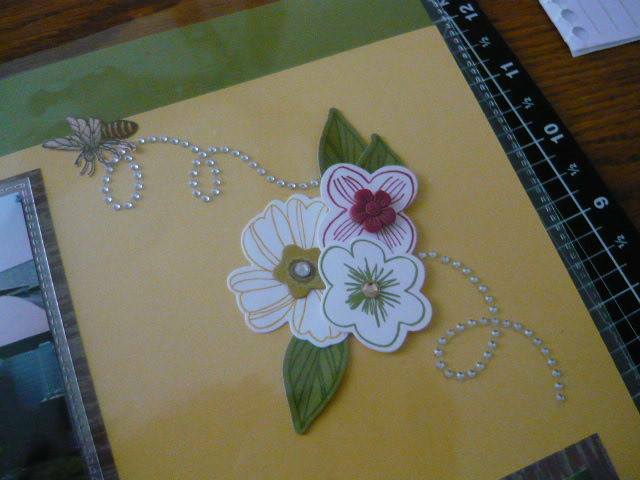 I used Cranberry, Topiary and White Daisy cardstock and the City Sidewalks paper pack. I also used some red Sparkle Gems and red Enamel Gems, and City Sidewalks Washi Tape, as well as a variety of Christmas stamps. 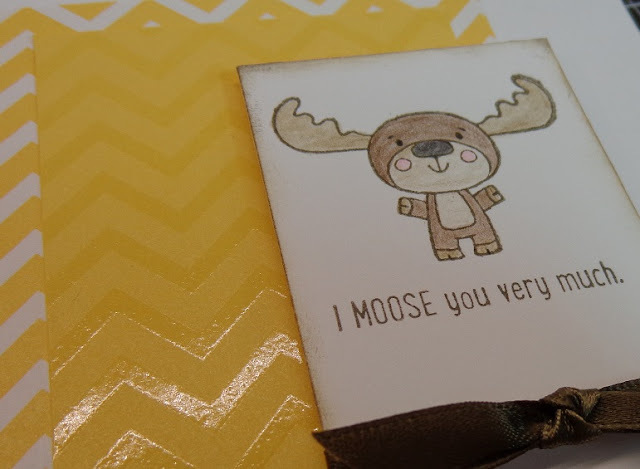 I also used my Shin Han Touch Twin markers to colour the candle on one of the cards. That's it for me this month. 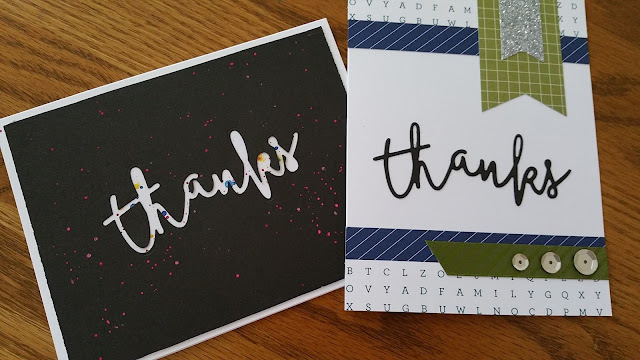 I hope you like my cards. Please leave comments - whether it is something you like or a technique you would like to know more about, we love to hear from you! and a safe and happy New Year! See you in 2017! 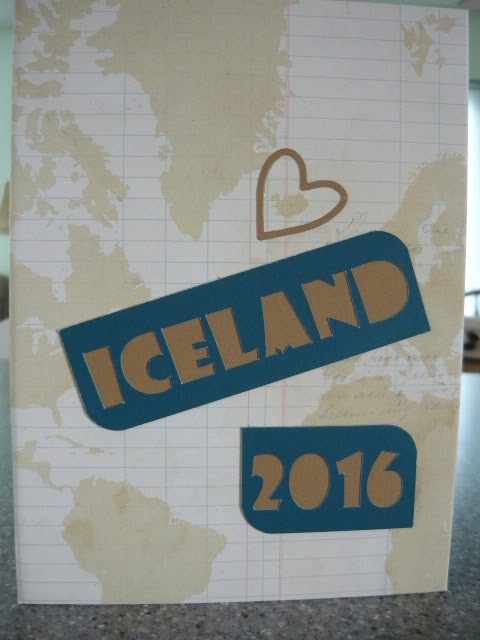 When my granddaughter spent two weeks in Iceland on her recent vacation, I decided to make a mini album for her using some of the brand new Fundamentals papers from Close to my Heart. I needed some ideas so I turned to Pinterest for some inspiration. I found just what I needed in several tutorials created by nwlady1949 (wish I knew her real name!). She covered everything from putting the cover together to decorating each page. The album is called a Triple Flip album and I really love it! I was trying to decide what paper to use for the cover when I discovered that one of the patterns in the Memo Fundamentals from CTMH is a world map! Perfect!! I positioned it so that Iceland was as close to the center as I could get it and then cut our a heart using the new CTMH Heart Thin Cuts dies and then placed the heart around the island to highlight it. 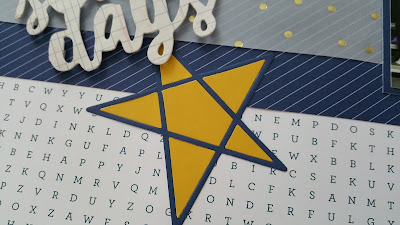 I then cut out the title using my Cricut Explore Air. I can't remember which font I used but I thought it was perfect for the cover. 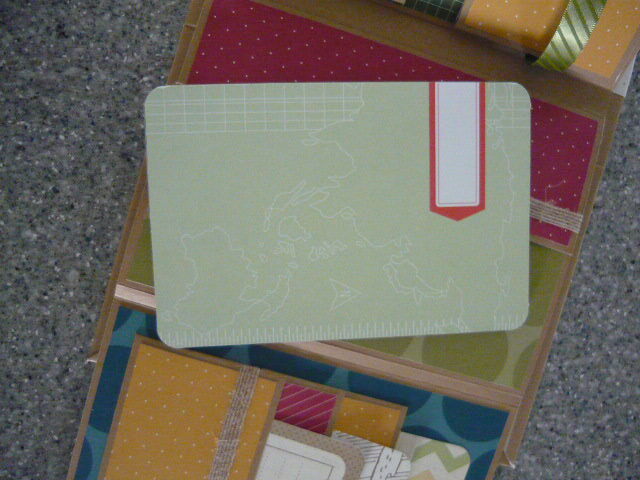 The cardstock I used is also from Close to my Heart. I used Desert Sand for the pages and hinge as well as the backing for the cover page title, and Peacock for the title itself. 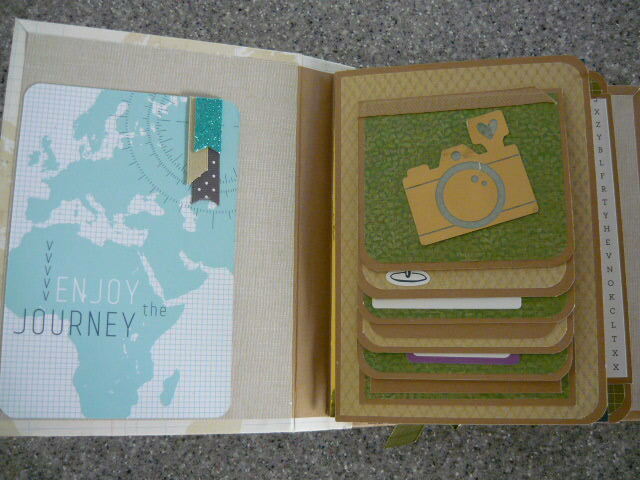 I added a pocket on the inside front cover created from a 4" X 6" Picture My Life card attached on the bottom and left side. The pennants are ribbon and Teal Shimmer Trim. The first three pages look like just one page until you pull it out and see that it is a lot bigger than it looks! Here I used some of my stash of older Close to my Heart paper and Desert Sand cardstock to make the waterfall and as the mat on the center page, then added some of the vellum from the Rustic Home Fundamentals paper on the pocket on the left. The tags are all PML cards. 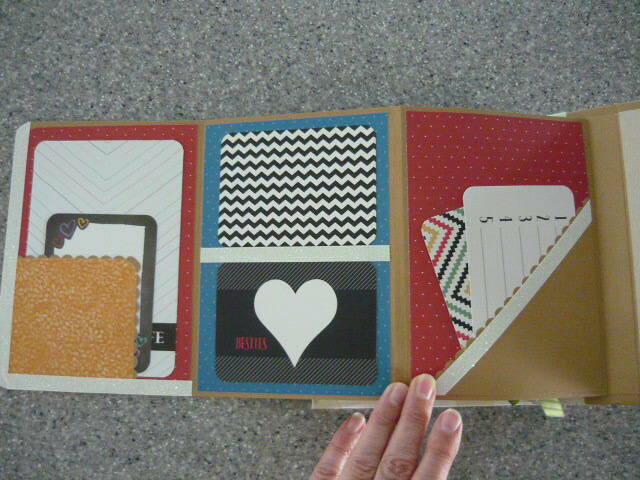 Those in the pocket in the left are matted on Desert Sand cardstock. Inside the waterfall are more pockets with tags and lots of places for photos and journaling. On the other side of the first three pages are more pockets that I cut from the Enchantment Fundamentals paper and a piece of Peacock cardstock. 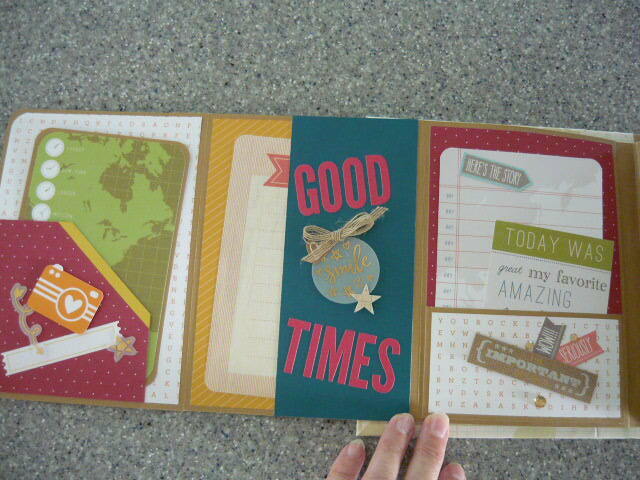 I used the Good Times and Zoe Complements to add some embellishments as well as some Gold Foil Tape and Rustic Home ribbon. Lots more pockets and tags and more of the Rustic Home ribbon. The tag in the left hand pocket is more of the Enchantment Fundamentals paper matted on a piece of Desert Sand cardstock. 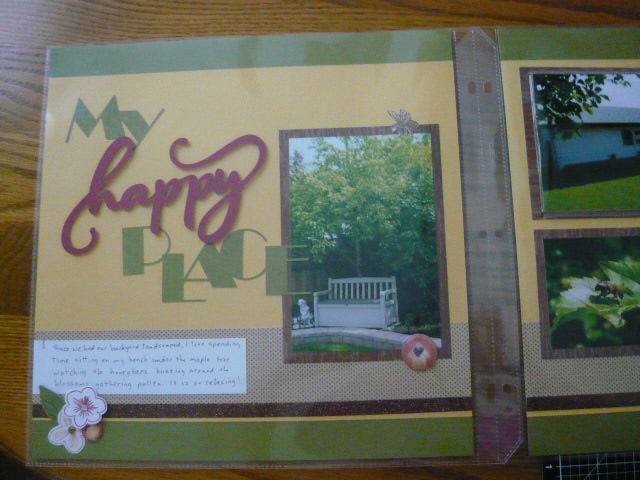 I used a mix of Enchantment and Rustic Home Fundamentals for the pockets on the middle page and more Enchantment in the right hand pocket. 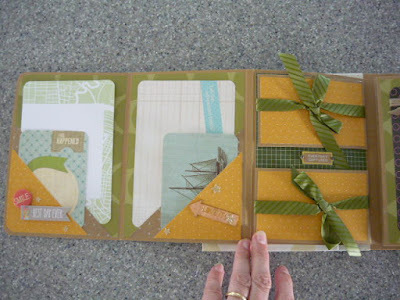 The ribbon is also from the Rustic Home ribbon set. 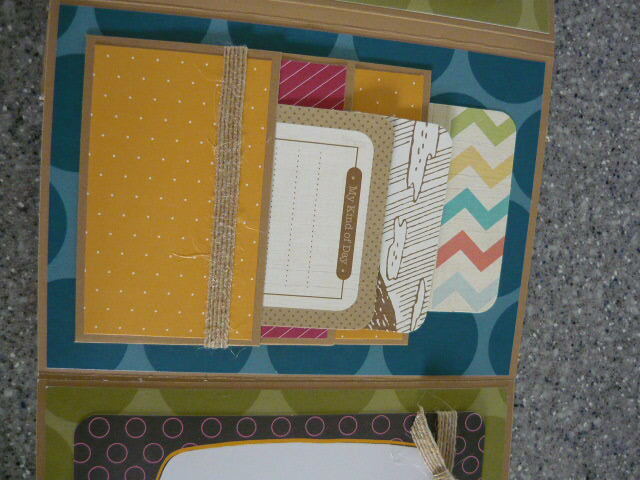 The cards attached to the pocket on the right are from one of the My Crush sets (Besties). More pockets, more tags. On the right page, I made two more triple fold outs which open in opposite directions, and added the ribbon to keep them closed. 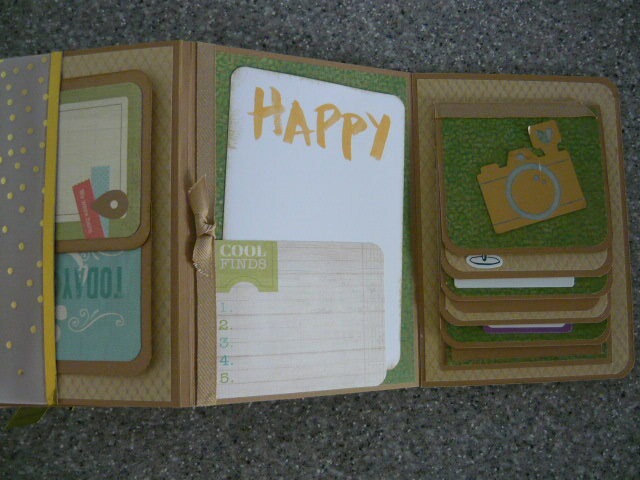 Here is one of the triple folds open showing the photo mats and journaling spot. The center page is three pockets cut at 5" X 3" and scored on three sides at 1/2". They are then overlapped half way to make three layered pockets. This is the tag in the pocket on the left page. 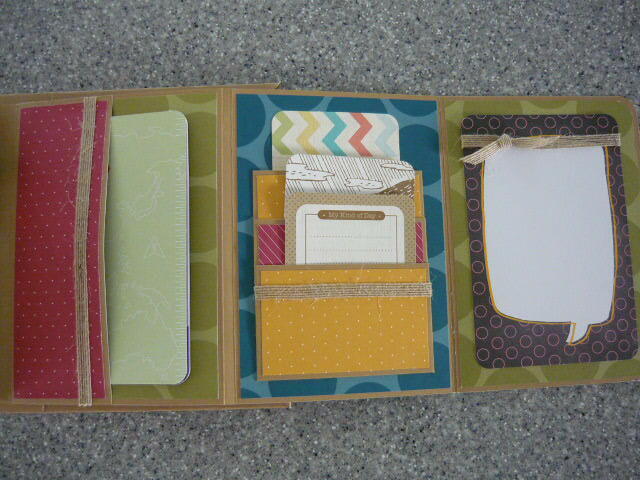 It is four PML cards attached to a piece or Desert Sand cardstock cut at 4" X 12" and scored at 6". 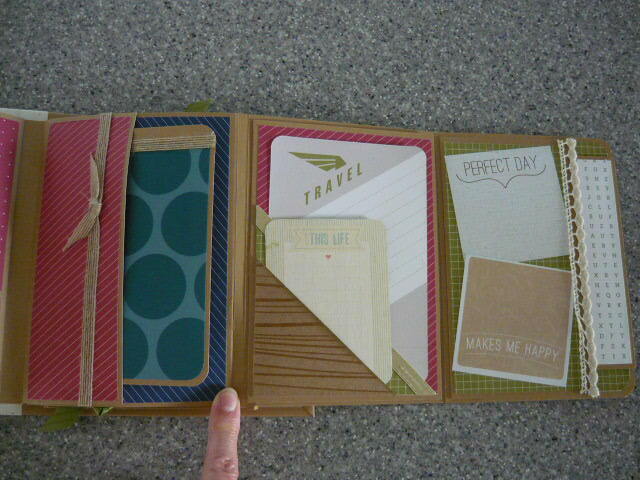 And now here are the last three pages with, again, more pockets and tags. I ran out of ideas on how to embellish the pockets but will think on it. 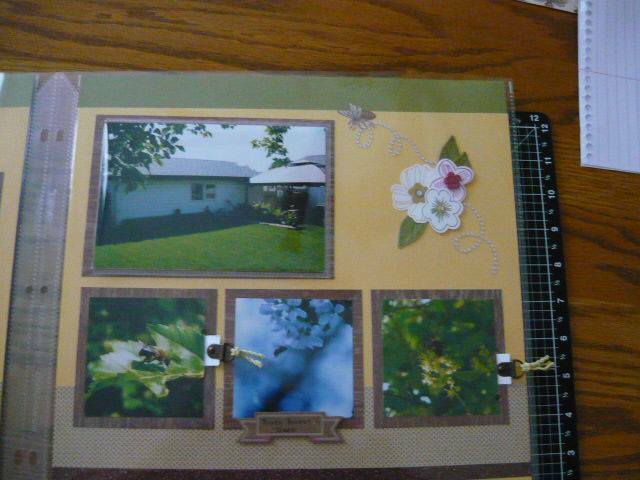 I hope you like this little mini album and I want to send a HUGE thank you to nwlady1949 for the tutorials! If you have seen anything that you would like more information about, please leave me a message and I will get back to you as soon as I can. 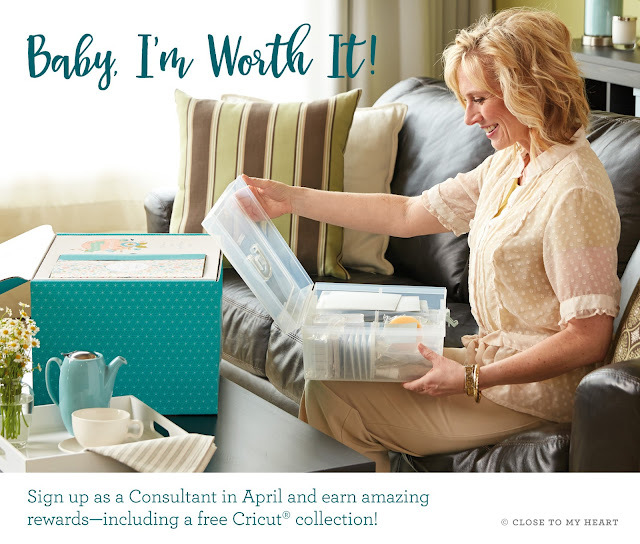 Are you interested in placing an order? Then please visit my website! 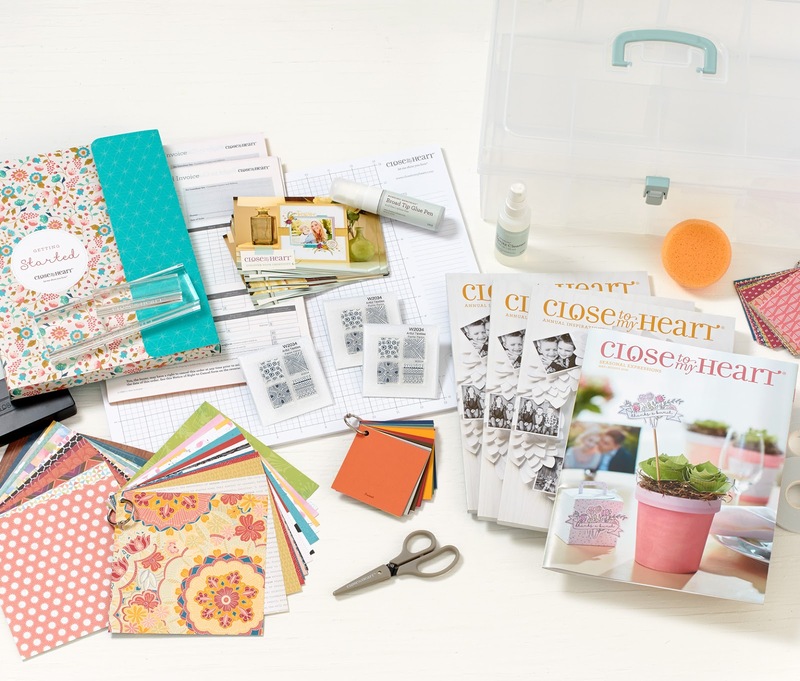 Welcome to our August Blog Hop featuring Our Favorite New Products from the NEW 2016/2017 Annual Inspirations Idea Book. 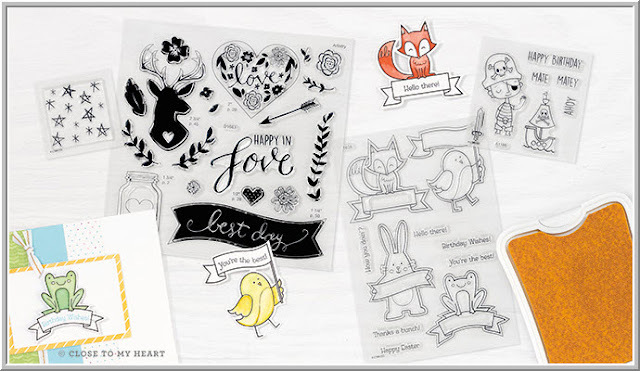 To purchase any of the items seen in our blog hop today, contact your local Close to my Heart consultant to place an order. We hope that you will take the time to leave comments on our posts, as we love to get feedback from our viewers, whether it was something that you really liked or some new technique that was used that you would like to learn how to do. By leaving us comments, we get to hear what you like, and what you want to see. Thank you. Now on to our hop! If you have just hopped onto my blog, you can start here as this is a circular hop, but if you want to follow us across Canada then please start at the beginning and join Michelle Stewart. 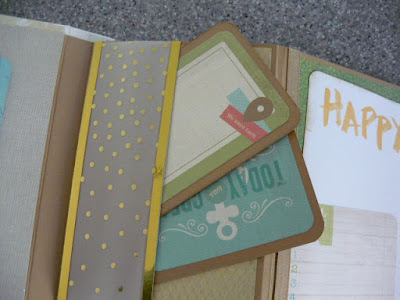 If you came from Brandy's blog then you are in the right place! There are so many new items that I absolutely LOVE - the new Fundamentals papers, the new dies, the new embossing folders, the new ribbon - that I decided to highlight a few of my favourite new items. 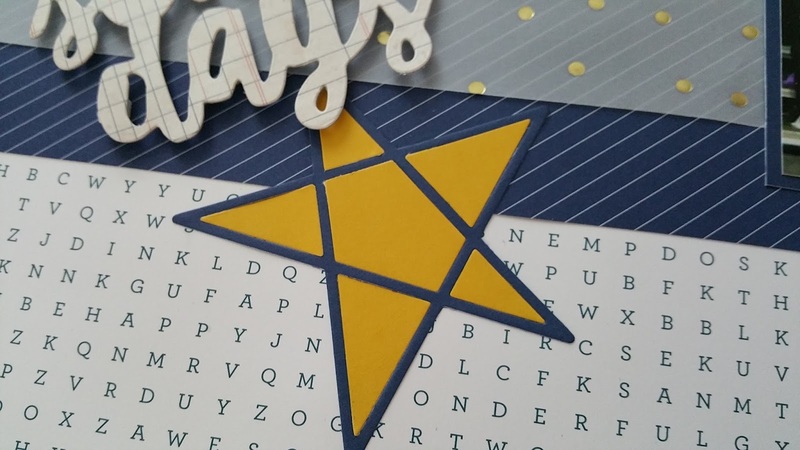 One of my several grandsons graduated from high school in June so i decided to use our new Fundamentals Enchantment paper and the Star Thin Cuts dies to make a layout showcasing his achievement. 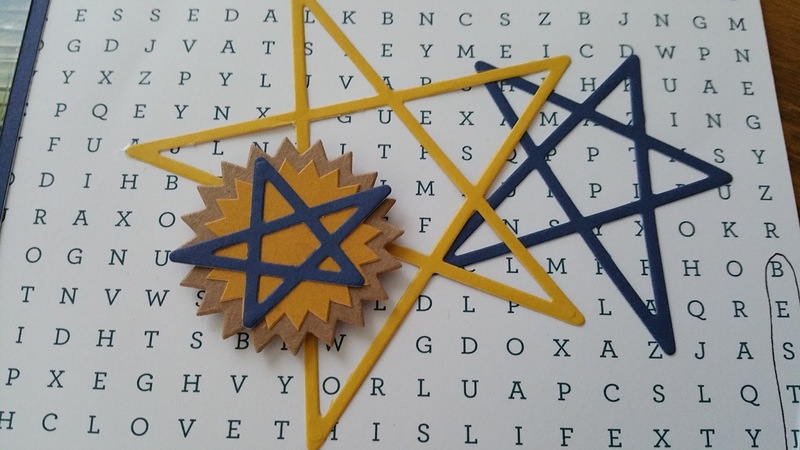 The yellow and blue star at the bottom of the left page is a blue star with the bits from the large yellow one at the top. I also used some of the School 7-12 Complements as well. Don't you love the new word Thin Cuts too? At a team function in Red Deer a few weeks ago, I cut out the Thanks sentiment and used the positive on the card with the Enchantment Fundamentals paper and the negative on a second card that I splattered with watercolour paint first. I love how you can use the positive and the negative both! No wasted paper! 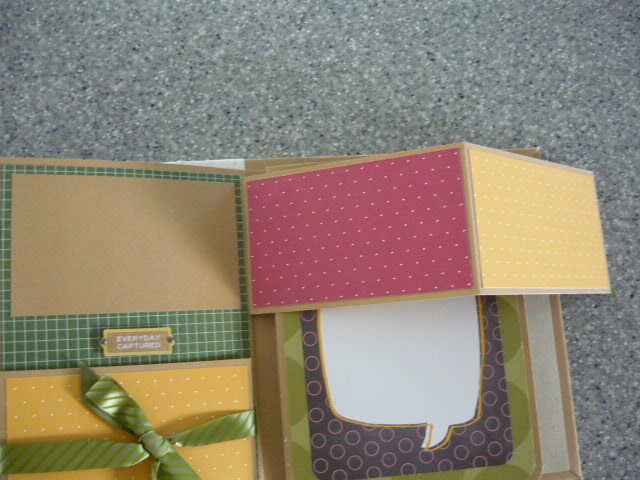 Last, I used my heart die to make this card that I really love! 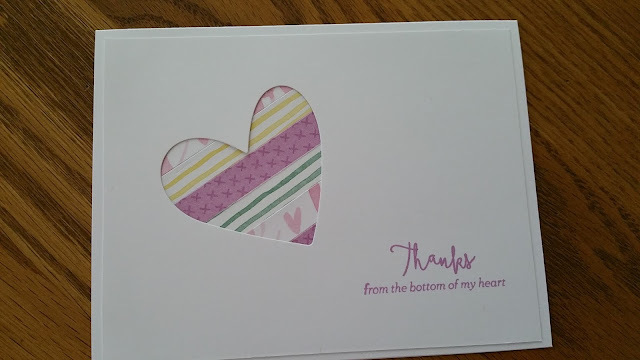 I cut the heart from a piece of White Daisy cardstock cut at 4" X 5.25" then cut strips of paper from various sheets of the Whimsy Fundamentals paper and adhered them underneath. That's it for this month! Thank you for hopping along with us and I hope you come back next month when our theme will be Back to School. 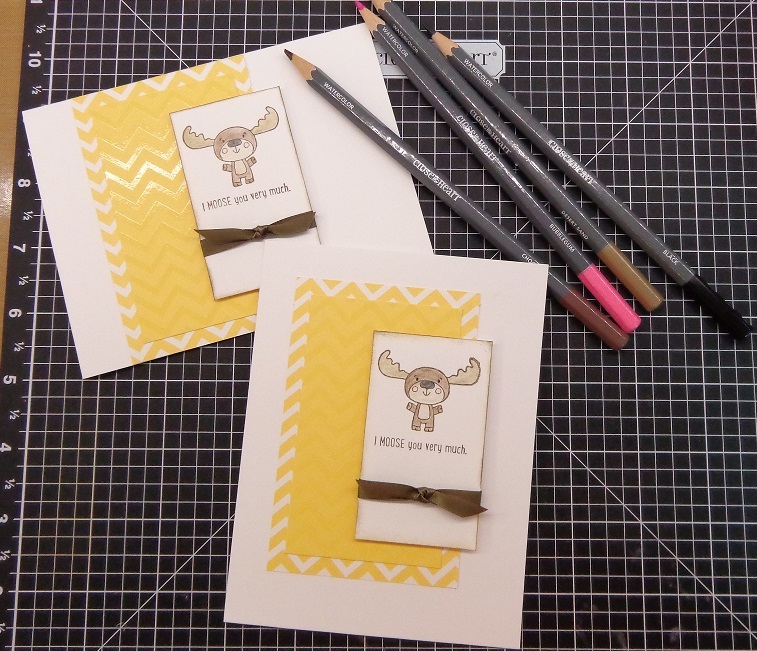 Now head over to Corrina's blog for some more great artwork! It's Convention Time at Close to my Heart! This is one of my favourite times of the year! The Close to my Heart Annual Convention! It is a time to catch up with old friends, make some new friends, learn about all the awesome new products that will be available for the next year, and generally have a great time. We started off on Thursday with General Session in the Coronado Ballroom where we were introduced to the gorgeous new Fundamentals paper packs. Although Fundamentals is not new, the colours and patterns are. The colours are more vibrant and the patterns - well, you will have to wait to see them. Each Fundamentals paper pack also has matching Complements and ribbon! We have 21 beautiful new ribbons that complement the Fundamentals paper perfectly. I can't wait to get my hands on them!! Something new this year too - A Colour of the Year! This year it is Sea Glass, a beautiful muted greenish blue that goes wonderfully with the Fundamentals Basics paper and will be a great asset to all paper crafters. After General Session, we all picked up out brand new convention bag! It is AWESOME!! It is a rolling backpack in our colour of the year. It will easily hold an Iris case with room to spare. The telescoping handle folds into a pocket on the back that zips closed if you want to wear it as a backpack. Once our tummies were satisfied it was back to the Coronado Ballroom for Extravaganza! In years past, Extravaganza consisted of several 10 minute presentations where we were introduced to different ways to use the new products. This is one of the favourite parts of Convention and everyone leaves with dozens (if not hundreds) of photos of the amazing artwork on display as well as copious notes covering different techniques used. This year, instead of us going to Extravaganza, it came to us! We stayed put and the presenters took to the stage to share with us. I liked it a lot better. Next was our first creative session which is my personal all time favourite part! In our convention bag, we received (along with the new catalogue!) 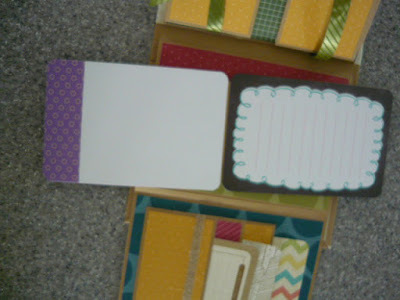 a Value Pack of cards and envelopes, two packs of our new ribbons (6 rolls), silver shimmer trim, two new stamp sets, and two packs of the new complements! AWESOME! After Friday's General Session where we paid tribute to 10 amazing ladies who have been with Close to my Heart for 25 years and saw some great artwork and techniques. Our first business class was Marketing without the Angst presented by Kristina Livingstone. Kristina showed us how to use the tools in the Online Office to help with marketing our business. Once Kristina was finished, our second business class was Bringing the Financial Joy to Your Business presented by Tonya Sheridan. This was a super class where we were given some great ideas for boosting our sales from parties and crops. I am going to be initiating Tonya's ideas to help boost my own business! In the afternoon Creative Session, we got to play with our watercolour paints by using different techniques to add colour to cards and layouts. We were also shown how to mix the paints to make our NEW colours (yep - 8 new colours in the CTMH palette!). That was a fun and messy time! Now I am in bed after two full days of fun and creativity. We managed to get some pool time in too (swimming pool...). Tomorrow we have General Session, business classes, creative session and the awards banquet. I hope Mickey Mouse shows up! That's it all for now. It has been wonderful to meet people who I know on Facebook but have not had the opportunity to chat with in person. Now I can put faces to the names. I made a lot of new friends and can't wait until next year so we can get all caught up again. I met a group of ladies from Australia (g'day ladies!!) and had a wonderful chat with them. Hoping to meet some more tomorrow! I will write more once I am back home on Sunday, but until then Keep Calm and Get Scrapping!! I LOVE a tropical vacation! I am perfectly happy laying on a chaise under a palapa or palm tree on a beach with the sun beating down and a Banana Mama in my hand. Aaaahhh!!! What a life! Now that I have all of my photos of our trip to Mexico for Christmas 2014, it is time to get them into my album and Close to my Heart has the PERFECT stamp set to highlight this awesome trip! Isn't this perfect?? This stamp set has been added to the Stampaganza promotion which means you could get it for the awesome cost of FREE when you purchase two other stamp sets or equal or greater value. 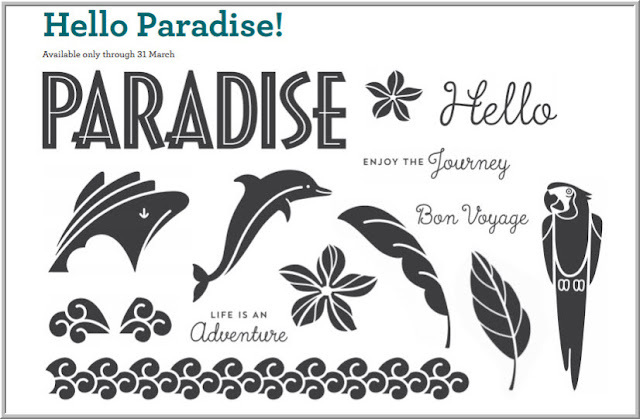 So get your order in now and stamp your way to Paradise! 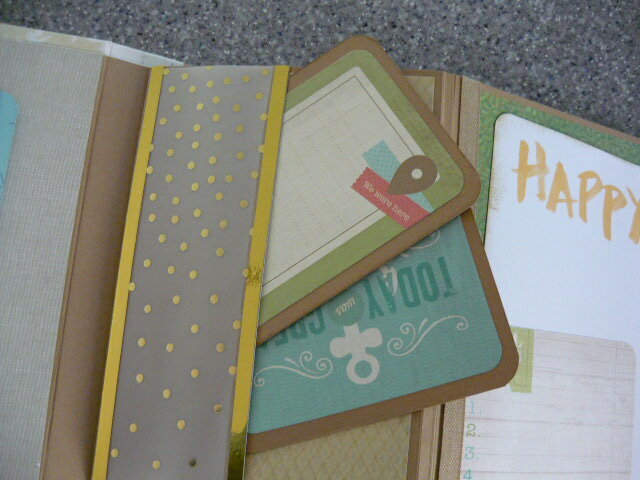 It's Stampaganza time at Close to my Heart! 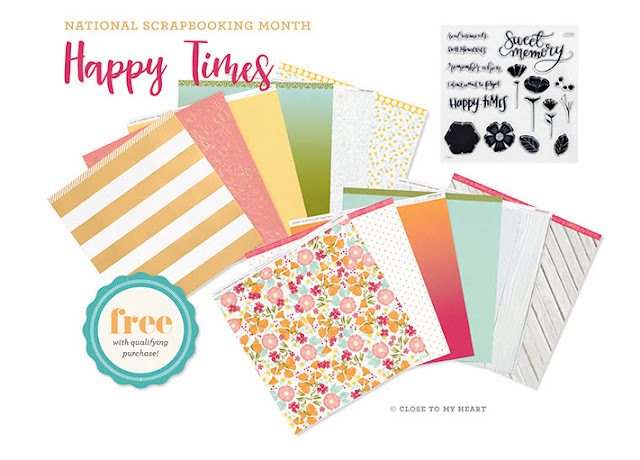 Buy two stamp sets at regular price and get a third of equal or lesser value absolutely FREE! I don't know about you, but I love that price! All you have to do is purchase three A, B, C, D, E or M sized stamp sets*** and the lowest priced one will be free. That is a saving of up to $35.50. Awesome! Just think of the possibilities! This offer is only available until March 31, so open that Idea Book and Seasonal Expressions and start your planning. If you would like more information, please leave me a comment and I will get back to you, or head on over to my CTMH website to place your order today. *** Some stamp sets are not eligible for this promotion: Workshops on the Go® stamp sets, stamp sets included in Cricut® Collections, Campaign stamp sets, Operation Smile™ stamp sets, supply item stamp sets, Hostess Rewards stamp sets, and Stamp of the Month stamp sets (both discounted and full-priced) will not be eligible for this promotion (either as the qualifying full-priced stamp set or as the free stamp set). Additionally, stamp sets purchased using Select Product Credit or Hostess Rewards are also not eligible for this promotion.